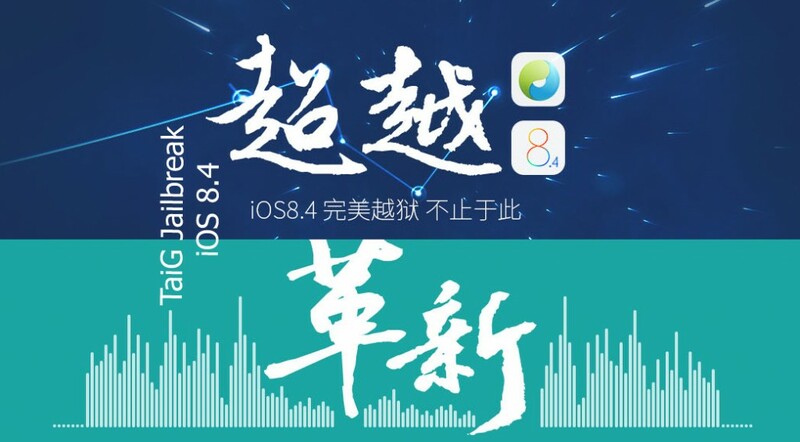 Home › iOS 8.4 jailbreak › TaiG 2.2.0 released for jailbreak iOS 8.4 ! Another good news for Cydia lovers. TaiG just released jailbreak for iOS 8.4 iPhone, iPad & iPod. So, jailbreak now up to date with latest firmware. The newest versions of the jailbreak which supports for iOS 8.4 is TaiG 2.2.0. Currently, new jailbreak is compatible with Windows only. Mac users have to setup a Windows virtual machine for run TaiG to jailbreak iOS 8.4. You can follow our step guide to know, how to jailbreak your iPhone, iPad or iPod on iOS 8.4 using TaiG jailbreak. Update : TaiG has updated jailbreak iOS 8.4 ! ‹ How to install Cydia for iOS 8.4 – 8.1.3 with TaiG jailbreak? when start downloading the taig 2.2.0. it says this site is not available. how it’s gonna work ?